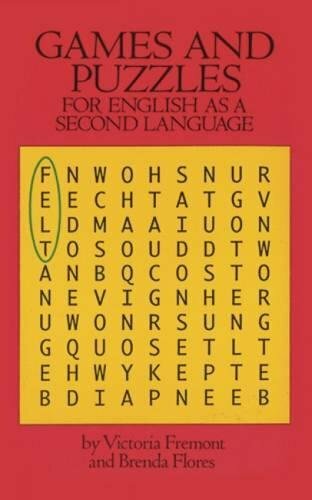 [PDF] Games and Puzzles for English as a Second Language (Dover Language Guides) | Free eBooks Download - EBOOKEE! Description: Students can hone their verbal and grammatical skills with this entertaining workbook. Search-a-words, crossword puzzles, anagrams, and other challenges build vocabulary and spelling skills. They also help students understand and identify idioms, irregular past tenses and participles, and other linguistic stumbling blocks. Perfect for individual study or as a course supplement. No comments for "[PDF] Games and Puzzles for English as a Second Language (Dover Language Guides)".